At the encouragement of friends, I recently read The Shack by William P. Young. A national bestseller widely embraced by some churches and many professing Christians, The Shack is a work of fiction that embodies lengthy conversations between the main character, a man named Mack, and three persons who represent a version of the Trinity. Frankly, I was dismayed at many messages conveyed by The Shack and have been surprised that many of my Christian friends have read the book uncritically, finding it a charming and heart-warming story. Some say that it is unfair to have theological expectations since the book is fiction. However, The Shack is marketed as a spiritually transforming book, and it being received that way by many. 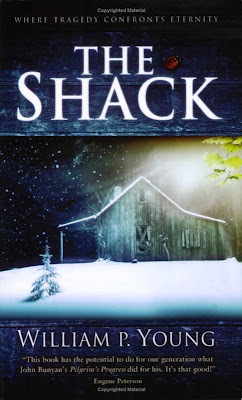 It seems to me that a more critical reading is required of The Shack than a secular work of fiction because the author creates characters that purport to speak as God and to guide Mack on his spiritual journey. The fictional story becomes a device to have characters representing the Godhead explain a particular theology. As believers, our spiritual antennas should be fully deployed when we approach such a book. In The Shack, God the Father appears to Mack as a large, jovial black woman whom Mack calls “Papa.” The Holy Spirit appears as a small Asian woman, and Jesus appears as a Jewish man. Putting aside gender confusion and the attempt to give human form and voice to the Father and Holy Spirit (“no man hath seen God at any time,” John 1:8), it is critical for the Christian reader to carefully consider the message author Young has those voices bring and to weigh their message in the light of the clear teaching of the Bible. That is to exercise discernment, a requirement – not an option – for Christians. The Shack evidences a low regard for Scripture. When Mack mentions biblical events or concepts, Papa brushes them off and glibly explains how it really is, thus suggesting that the Bible is the work of man, not the divinely inspired work of God. Yet, some argue that The Shack has value in that it demonstrates a loving God of grace who invites man to a relationship. But it does so with grievous distortions about the nature of God, the nature of the Trinity, the authority of God’s Word, God’s hatred of sin, the requirement of repentance, and the nature of conversion and salvation. My brothers and sisters, even in reading and discussing a work of fiction, we must be prepared to “contend earnestly for the faith which was once for all delivered to the saints” (Jude 3), and to do so without apology to the world. The Shack may, from its human author’s viewpoint, be in all sincerity intended as an inviting look at a highly relational God, but would you place even a drop of poison in pure water and invite others to drink? As Dr. Albert Mohler, president of the Southern Baptist Theological Seminary, said, The Shack “contains undiluted heresy.” Don’t you and I have a responsibility to be equipped to recognize heresy and to shine the light of truth so that we and others are not deceived? Tiyr analysis is dead on. This sort of stuff wreaks more of eastern mysticism and man created spirituality than Biblical truth. Christians that are affected by this stuff need to dust off their Bibles. It is sometimes written by orthodox theologians that evil isn't a thing of itself, but it is just the absence of God. Just like cold isn't a thing and darkness isn't a thing, both are just a lack of heat and/or light. That way God didn't create evil, but when people or Satan, for insance, abandon God they become evil just like a room that is not heated becomes cold. I have heard much about this book and sort of glazed through some of it in Target a few months ago. I see that a lot of evangelicals are taking to it. I did not purchase it and it did not really have much to do with the content of the book, but my own bad experience with getting away from scripture and even in to books such as Pilgrims Progress and away from the written word and communion with God one on one. I think when we begin reading any of these books, we are sort of walking a plank as we begin to look through the lens of other believers journey toward God or discoveries they have that may either be true or in need of correction. Solomon warns us of going beyond what is written. I am finding that I do not benefit as much anymore in reading other books as I do with the pure milk of the word. 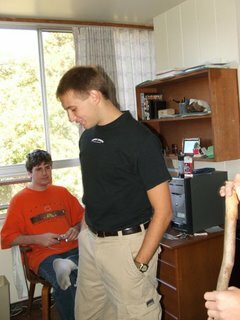 I also have sort of always have had misgivings about profiting off of my own communions with God. I just don't know about any of all of this anymore. I guess I laid down the Shack out of lack of interest or not really wanting to walk with God through the lens of another and sort of view it as having a relationship with God with a third party, so I have not read the book and am not really worthy of a critique of it, but did hope you would consider this as food for thought. My take on all of this and the growing industry and marketing of God. Look, whether we want to admit it or not, every book and every literary work has it's inspiration, it's driving force. For instance the Bible is a book that is inspired by God in all of it's parts and the whole 2 Tim 3: 16-17 and 2 Peter 1: 19-21, in other words, apart from the reflection of the character of the writers themselves, the Bible is God's words to us. All of that to say this, books like the shack, blue like jazz, P.D.L., etc... have there own source of inspiration! As much as the authors may want to say that it is Jesus Christ, it is not. There is only one other alternative, the father of lies! My problem with The Shack is that it represents God in a way that God does not represent Himself. That would be called idolatry and is a serious issue. I appreciate all of these comments so far - well done. I have heard it argued that it is trying to reveal the mothers heart of God. Truly God loves us as a mother her young, but as you point out it fall short of representing God Himself. While Pilgrim's strength is with much scripture and revealed truth it still falls short in areas such as lingering in doubts and many labratories and obstacles before one gets to the cross. Spurgeon himself read it 100 times but never found peace until he found relief in Only Looking To Christ. While the Lion The Witch and The Wardrobe has some strength in revealing the character of God, it's weekness is also seen in some of Lewis' own struggles. The shack may seem to boast of God having a loving mothers heart, but as you point out there are other heresies. His name is the word of God and the word became flesh. Everything else will always fall short and be almost true and very nearly right. Why does anybody that calls themselves a Christian give credence to something that is so obviously antithetical to God's word and really a work of a man's idolatrous and heretical beliefs? I agree with almost every negative review of The Shack, including this one, regarding the doctrinal errors and distortions it contains. And I wouldn't recommend it to any but the most discerning of readers. But there is a REASON why it has caught fire in the Church. And the reason isn't as simple as its giving "itching ears" what they want to hear. The reason it has become such a best-seller by word-of-mouth, is because it is a backlash to many years of Performance-based legalism in the Church. Congregations have been taught something horrible by thousands of sermons, frowns of disapproval from Church leaders and theologians who don't understand the New Covenant, and legalistic Sin-based Counselors. What horrible thing have we been taught? That the goal of the Christian life is obedience to laws, and seeking to "perform better" for God, and that the better you obey and perform, the more God will love and favor you. And the worse you obey and perform, the angrier God will frown on you, and withhold His love and favor. THAT, my friends is heresy, but a heresy that is still well-received in most Churches today. Indeed many who read this will bristle and seek to defend that heresy, because it's what they've been taught their whole Christian life. That heresy is a flat-out denial of Grace, particularly the Grace of the New Covenant, in which God sovereignly gives a new heart to His elect, sovereignly gives them faith to believe on the Lord Jesus Christ, declares them righteous and holy, and forgives ALL of their sins, past, present and future. With all it's errors, not the least of which is it's disconcerting portrayal of the Father as a plump black woman, The Shack is unfortunately many Christians' first introduction to the truth that through the Cross of the New Covenant, and the New Birth, and our new identity as Saints in Christ -- Abba Father loves them, not based on their performance, but because He darned well chooses to. They are set free from Sinners In The Hands Of An Angry God being constantly twisted into Saints In The Hands Of An Angry God. May more authors rise up expressing our precious freedom and identity in Christ, without the trappings of theological oddity. If anyone comments, "Yeah, that's well and good, Terry, but don't get carried away with Grace too far, or the sheep will run wild," I think I might vomit. "New Creations" hate sin and love Jesus in their [new] spirit, indwelled by the Holy Spirit. Now let's teach them how to walk by that spirit/Spirit. You'll get no argument from me Terry. Excellent words in my opinion. That is the whole struggle today for the youngsters of my generation. They'll go to anything that's not legalism, including hinduism. ANYTHING. My fiancee's sister just went to eastern spirituality. She was raised on the premise that she had to be good enough for God (Jesus, whatever). I don't even know if she has ever heard the Gospel. No surprise she didn't fall in love with the Lord... she never knew him in truth. I agree with you that ONE of the reasons that this book is so popular is because of performance based teaching, which is the same teaching that the Pharisee's held to, salvation based on performance under the law. Salvation is all of grace through faith, it is a work of God alone and none of other, either in our deliverance or in our spreading of the Gospel it is God that brings the increase and we are nothing! While it is true that heretical teaching has had a role in this and those heretical teachers are responsible for what they have taught, it is equally true that the individual person has not been responsible in maintaining their own personal relationship with the one and only true living God in Jesus Christ! I find it interesting that you and Brian both blame this on heretical teaching but the truth is that each man will stand before God and be called account for their own works, not the works of others. It is not the fault of the Church or even the heretical teachers that people are seeking out what makes them personally feel fulfilled, yes those heretics will be held accountable but each individual that chooses to abandon Christ for some other lie will be judged because they did not follow Jesus alone, they did not look to the cross and His resurrection! So, while we are obedient and spread the Gospel of grace we need to remember that it is not our effort that will bring the increase in anyone's life, it is the Father that will draw all men to Himself and it is He alone that will bring that individual to salvation, we are nothing in this and we have no share in the work of salvation, it is God alone who brings salvation in Christ! In conclusion, 'The Shack' is just another of a long line of demonically inspired works that have been written to produce confusion among those that are unsaved, weak or young. Our fight is not against flesh and blood but against spiritual principalities and powers, this is where the battle lies and our weapon is the truth of the Word of God, it is the Gospel that is the power of God to salvation, sowing the Gospel is what the Father will use to draw men to Himself, men will also be judged by their rejection of it and the acceptance of lies like 'The Shack'! Gigantor: "...it is equally true that the individual person has not been responsible in maintaining their own personal relationship with the one and only true living God in Jesus Christ!" The issue here is your use of the word maintaining. If you never had it, there was nothing to maintain, for I cannot maintain a car I did not have access to. You can't have a relationship with Jesus if you never heard it was by faith alone - that is the Gospel. "it is equally true that the individual person has not been responsible in 'maintaining' their own personal relationship with the one and only true living God in Jesus Christ!" That is very good that you caught that word Brian! While it is true that if you never had it then there is/was nothing to maintain, Jesus Christ will judge all of those that are without what they could have and they will be without excuse! 18 For ﻿the wrath of God ﻿is revealed from heaven against all ungodliness and unrighteousness of men, who by their unrighteousness suppress the truth. 19 For what can be ﻿known about God is plain to them, because God has shown it to them. 20 For his invisible attributes, namely, his eternal power and divine nature, ﻿have been clearly perceived, ever since the creation of the world, in the things that have been made. So they are without excuse. 21 For although they knew God, they did not honor him as God or give thanks to him, but they ﻿became futile in their thinking, and their foolish hearts were darkened. 22 ﻿Claiming to be wise, they became fools, 23 and ﻿exchanged the glory of ﻿the immortal God for images resembling mortal man and birds and animals and reptiles. The Holy Bible : English standard version. 2001 (Ro 1:18-23). Wheaton: Standard Bible Society. What they do not have is saving faith but they do have the faith to see and respond to what is right in front of them 'what is clearly perceived, for God has shown it to them.' 'For they are WITHOUT EXCUSE. Although they knew God they did not honor Him, but they became futile in their thinking and their foolish hearts were darkened.' They chose unrighteousness. So, each unredeemed man is judged according to the law and being apart from Christ they perish under the law. You may not like what the Bible says, but it is not for you to choose what to like or dislike, God is sovereign and He will judge according to the standard that he has set forth, a standard not subject to man's insufficient ideology or preconceived notions but it will be done according to His perfect judgment and will! We may not understand but His ways are far above ours, we are not ones to counsel Him or question His word. As I tried to simply point out before, there could be a plethora of heretical works like "The Shack" whose authors will be called into account for every empty word. In like manner everyone who chooses to reject such a great salvation will be judged because they rejected it, they will be without excuse, they will be judged according to their unrighteousness according to the Law. Yes, the unrighteous will be judged according to their performance under the law, but the righteous will be judged according to the grace in Christ Jesus, we are credited with His righteousness, the righteous will be judged apart from the law! We have had a Sunday School class at church studying The Shack for several weeks now. I am so pleased that our pastor has done this as he did so to enlighten folks to the deceptive and heretical theology contained in the book. The lead-in to it was very good. One of our elders' wives has an M.A. in Literature (pending) and spent two weeks explaining literary devices, character development, etc. If you would like to see the introduction teaching outline, email me and I'll be happy to send you a link. I would like to see that outline! The funny (or should I say sad) thing is that I have yet to see a negative review done on the book by an Arminian. I have even debated the issue and one of the comments I got back was that the only people that attack the book for its views on the Trinity are Calvinists. A few Arminians even accused Calvinists of believing in "Tritheism". I was quite shocked by these accusations, but after researching further on the issue (i.e. about Arminians view on the Trinity), it appears that it is true that Calvinists (such as myself) are the only ones who have a problem with the Trinity as portrayed in 'The Shack'. If you know of any Arminians who have a problem with the Trinity as presented in the book, please let me know. It would go a long way, to making me feel a little better about the issue. Why would you not feel good? Forget the issue of the trinity, the book is a conglomeration of a man's ideas that he drummed up from His flesh. It is a feel good book for post modern liberals, emergents and those that lack discernment. I think that the best advice that you could give to anyone that calls themselves a Christian and wants to debate the merits, which there are none, of this book is READ YOUR BIBLE!!! You might add them to your prayer list too because they are obviously deceived, no sarcasm intended. Is Jesus a lion? Why is Aslan in the Chronicles of Narnia acceptable as an allegory, but The Shack is not? I don’t want to make light about the other aspects you mentioned, because I agree with you. However at the moment, I am concentrating on the aspect that I believe is the most troubling. Albert Mohler was also troubled about this. It is my understanding that Arminians of days gone by, always believed in the historic creeds and writings concerning the Trinity. Yet, I haven’t been able to find one single Arminian (including SBC theologians) that has read the book that doesn’t agree with the Trinity as presented in the book. There are some Arminians that didn’t like the story line, but that is subjective. By the way, since I am a former Arminian myself, I have many friends and family who are Arminian. Though as far as I know, only a few have read ‘The Shack’. Good question and one that I think should be answered, perhaps someone else would like to take a stab at it? But although the Trinity as presented in 'The Shack' is allegory. It never the less is basically what the author believes is an accurate description of the Trinity. Just one aspect (for time and space reasons) is the fact that all three members of the Trinity in the book have scars on their hands, not just Jesus. This is an error that if you look back in history was challenged by the Church and soundly defeated. Yet here it is again raising its ugly head. It would seem that this time however it has the support of the vast majority of Protestantism. Gigantor, what did you think about the outline? Of course, it was ONLY an outline and not the full content, but you could get the gist of the message. I am not done with it yet but I will let you know, looks pretty concise and informative though from my first observation! I just go by the Spirit of God, and whenever I heard about The Shack, and when somethimg appeals to the world so much, He usually indicates to me to beware. So, the spirit is saying to me "leave it alone."